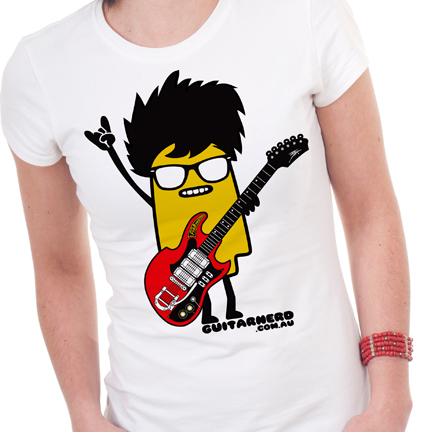 guitarnerd.com.au » guitarnerd shirts… coming soon! Hey g’nerds. 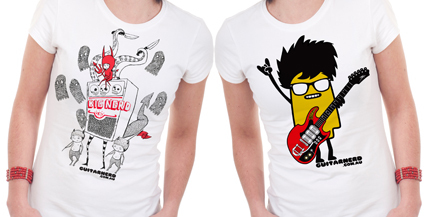 I’m in the process of getting some guitarnerd shirts printed. One with a design by the outrageously talented Celeste Potter of Melbourne band Ouch My Face and another by yours truly featuring a delicious red sharkbite Fyrbyrd. 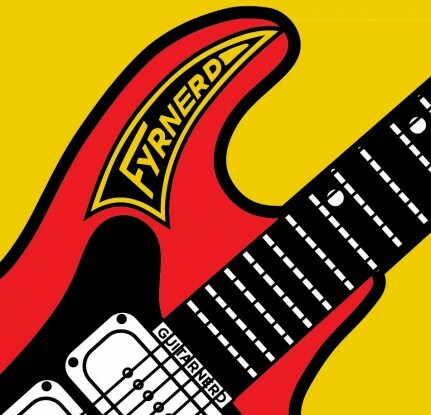 And here’s a closeup of the Fyrbyrd… I didn’t want to piss off Maton so I added some touches to guitarnerd-ify it. COOL! I really like both designs but I’ll be going for the Sharkbite Fyrbird. Any chance of giving us some dimensions for the sizes (chest, shoulders) for the various shirts – I seem to be in some twilight zone between small and medium depending on brands. I’ll happily advertise your site! Cheers. I also go for the Fyrbyrd version. Very cute. Tell me about the costs + shipping to Holland. Great shirts! I’ll go one of each in a Large….. rock on! I’ll take em all. BEST. BLOG. EVER. 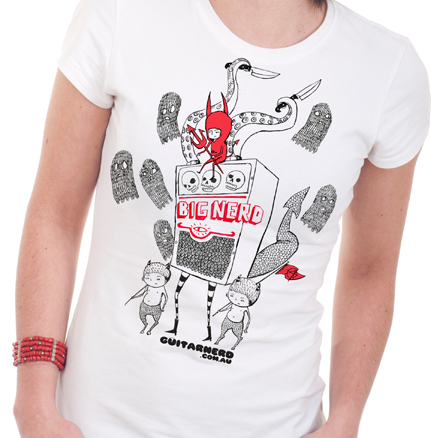 I’d go the big nerd if it was in black………. Big Nerd and Fyrnerd in black or Navy, cotton? Can anybody tell me about a Maton BG222 Beat Sound Bass. ?